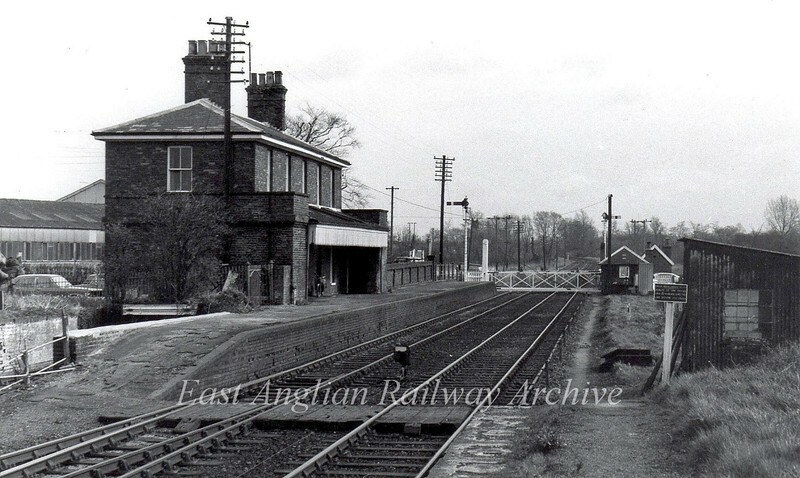 Melton Station facing Wickham Market on 1st April 1977. The station buildings are of standard East Suffolk Railway design. The station was disused at the time, but still a block post, the signal box being behind the camera. The station closed on 2nd May 1955 reopening again in 1986 when RETB was introduced on the line. General freight traffic remained until 1st June 1972 although coal traffic continued until 1984.